Do you need to analyze some file but you don’t have an antivirus? Check this list of the best online file virus scanners with multiple antivirus engines. When talking about the Internet, there is always the issue of security: that there are many dangers in the network and that you have to be careful, that you have to monitor what data you share and with whom. In this sense, you must be careful when downloading files, even if you download them from familiar pages or send them to a friend. Analyzing files over the Internet with scanners that use several antivirus engines is a guarantee since the viruses that escape some engines will be hunted by others, unlike if you use a single antivirus, either online or installed on your computer. Besides, you can compare to detect false positives. These online file virus scanners keep the antivirus updated, so you will not have problems identifying the most current viruses. Let’s look at the five most representative online scanners. I started with the most known by the Spanish speakers, and that is that VirusTotal is a Malaga project of high quality and that, besides, was bought by the very Google. 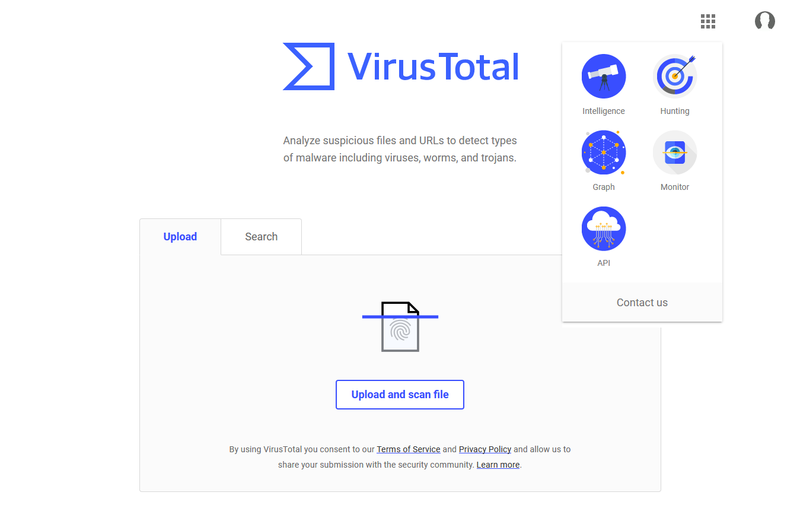 With VirusTotal you can upload files of up to 64MB and analyze them with 47 different antivirus engines, from the best known (BitDefender, Avast, Symantec or Kaspersky) to others not so familiar (Fortinet, Ikarus or Kingsoft). You can also analyze the URL directly and even download the Windows Desktop app. 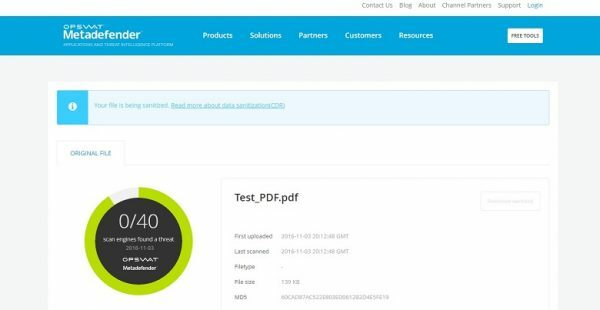 Like VirusTotal, now you can also count on VirSCAN before your suspicions of owning files that could contain some malware inside. VirSCAN allows you to upload your files, as long as they don’t exceed 10 MB per file, so they can be analyzed through 36 online antivirus engines, offering us at the end a table with the final results. Among the advantages, you find that they can search for viruses in compressed files, both ZIP and RAR, as long as they contain less than ten files inside. On the other hand, and as additional data, the codes MD5 and SHA1 of the analyzed file provide us. For Mac OS X you have MD5, a donationware app by which you can check the MD5 values of the files and compare them. Many of you should know one or another online antivirus, and they are quite useful when we want to have a second opinion when you suspect that your computer is infected with a virus or malicious code. That’s why I’m sharing with your some online file virus scanners. 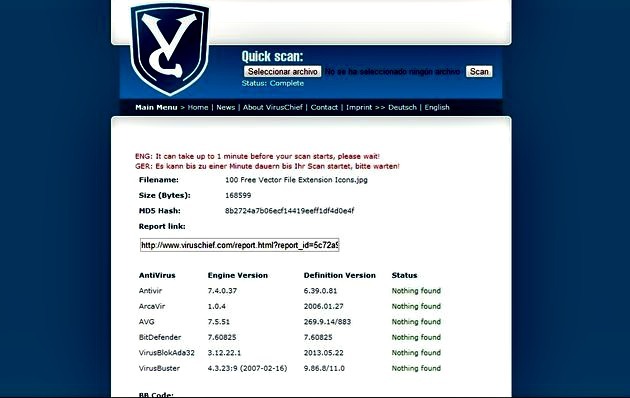 Viruschief is an exciting and useful tool that allows detecting if any file (the one you select) is infected or not. For this task, Viruschief uses the security offered by well-known antivirus programs such as Antivir, Avast, AVG, among others. Viruschief works effortlessly, at the top of the official site you will find a search box that will allow you to select the file you want to analyze. In this way, in less than a minute (depending on the size of the file), Viruschief will be responsible for analyzing if your file is infected or not and for that, it will use the base of well-known antivirus engines. Once you have finished analyzing, you will observe a simple report that will let you know if there is an infection or not; It is worth noting that of the ten antivirus programs that it uses, the signature database is completely updated, which is why you can be confident in the analysis. It also has a BBCode section, in case the user wishes to insert the virus-free details obtained in a forum, blog or website, and a link report is generated to share the analysis data. Metadefender Cloud is a fantastic online file virus scanner that is very useful to analyze all types of files in search of viruses, malware and other kinds of threats. This practical web tool, oriented to network security, doesn’t need registration and can help you perform various tasks that will prevent infections and other problems that could put our system at risk. You can examine all types of files, and it is only necessary to load them taking into account that the maximum limit for their weight is 140 MB. The data are analyzed online using up to 41 virus detection engines. Metadefender Cloud is a very complete and robust solution that can become an extraordinary complement to your usual antivirus. Nowadays, it is difficult to imagine a Windows operating system without an antivirus, especially taking into account the frequent computer threats that you face every day when connecting to the network. As I have said many times, you only have to install an antivirus at the same time in a computer to avoid that two or more installed and executed at the same time can cause conflicts between them, however, this does not mean that you do not have ways to get second opinions using several different antiviruses. In the network, several antiviruses don’t need installation, known as portable, which allow you to perform analyzes on demand, manually, whenever you want. Thanks to them, while an antivirus of a brand is responsible for security in real time, periodically you can launch our system analysis with this other antivirus without this having an impact on the functioning of the base antivirus. In addition to portable antivirus, which in many cases are adapted by the users themselves, because, by default, they aren’t designed to work in this way, you can find online file virus scanners, some simple tools that allow us to analyze your entire computer from the browser. You no need to download or install any additional software. One of these antiviruses online file virus scanners is the ESET Online Scanner. 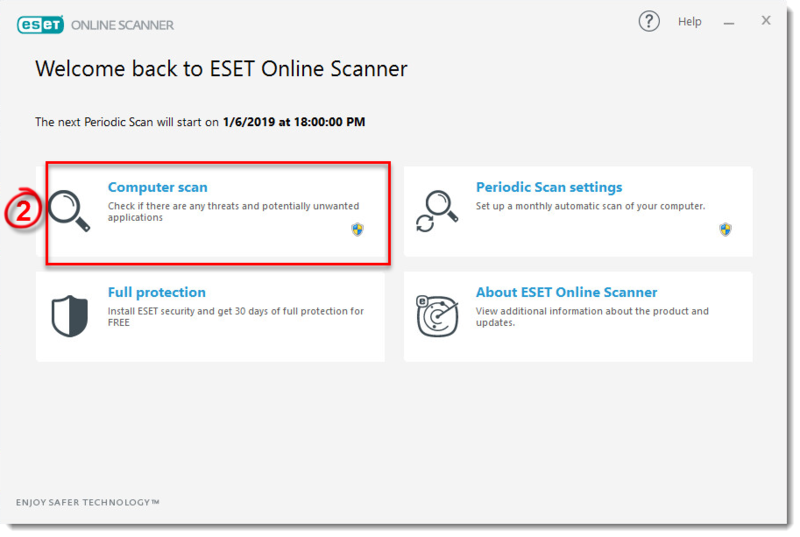 ESET Online Scanner is a free antivirus that allows you to perform security analysis on demand from our computer from the browser itself. This antivirus uses the ThreatSense technology of the security company and gives us access to the company’s most recent virus database so that it can detect even the latest threats. Jotti is a free online file virus scanner with more than 20 antivirus engines that will analyze the file that you upload to your servers with a limit of 25MB per file. This service highlights the saturation indicator, so you know if many users are using it and so know if your analysis will take more or less. So far those were the best online tools to scan your files for viruses and malware that maybe your antivirus can’t find. Just enter any of these websites and upload your files. Do you use another online file virus scanner? Let me know in the comments section to add it to the list.